Looking at past and present Aaron Hill batting stats, tendencies and priorities. In my mind, Aaron Hill’s career can be been broken up into two halves. The first is his pre-2008 injury career, where he was known as a defensive whiz with some pop and high doubles production. The second half, which begins in his healthy 2009 season, is as a solid defensive player that is a HR hitter. Here are some select stats from 2007, 2009-2011. V1 AHill was a doubles hitter, hitting 28 (2B) vs 6 HR in 2006 and the above 47 2B breakout in 2007. He didn’t chase as many pitches out of the zone and his IFFB numbers were around league average. He made solid contact and hit linedrives. V2 wants the longball. And he’s hit them in 2009 & 2010. He’s expanded his zone, upped his IFFB, with his LD% taking a slight hit. At the beginning of his career AHill feasted, at least from a production standpoint, on curveballs, posting positive scores in his first three seasons, including a large breakout of 4.46 in 2007. During this time he was slightly below average against fastballs and for the three years above avg against change-ups. Jumping ahead to 2009 (after the injury plagued 2008 campaign), AHill’s production against fastball’s went up up up. His overall FB above average score (wFB at 18.6, not shown) placed him in the upper third of AL hitters. He also feasted on change-ups. Coming back down to earth in 2010 & 2011, AHill is back to being a negative producer against fastballs. He’s also dropped his production against curves, a pitch he feasted on in his earlier career. Oddly enough, percentages of pitches thrown have stayed the same overall. Note: Upcoming graphics contain some overlap from Callum’s off-season Aaron Hill not a lock to rebound article. While the percentages have stayed the same, I assume location has changed. 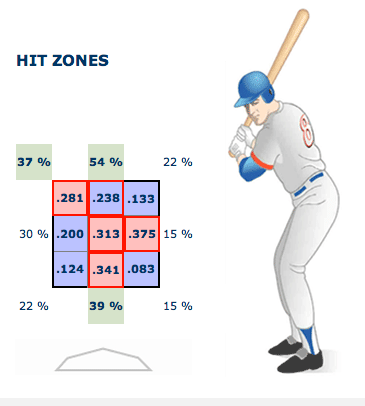 Here is a graphic of AHill’s strike zone discipline (2010+2011). AHill is chasing. And he’s really chasing pitches on the outside portion. This becomes a really big issue when looking at his pull happy tendencies. AHill hasn’t hit left-handers in a few years. Now he can’t hit righties. 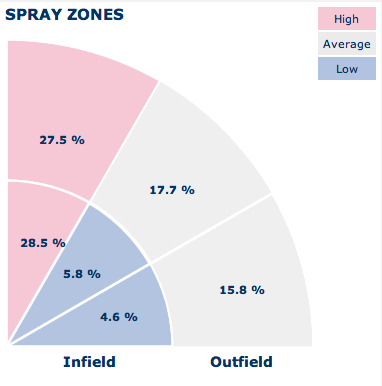 Pre-2009 AHill did not chase as many pitches out of the zone, he was also an average IFFB hitter. His LD% was steady around 19% and he was primarily a gap/doubles style hitter. Post-2009 AHill is power happy, attempting to pull everything with power. 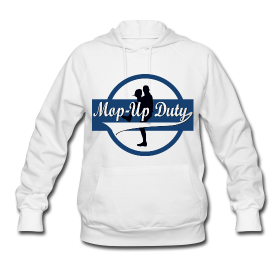 This has led to chasing out-of-zone pitches, a high% of pop-ups, pull happy weak contact. Outside of 2009, AHill has never been able to handle a fastball. The question now becomes was 2009 a blip? Did the league adjust from throwing him suspect off-speed offerings in his early career, now adjusting to throwing pitches off the plate and assuming AHill will chase? I’m willing to give Aaron the 2011 season to workout his problems. However, judging from the above info, he seems to be a player that had a one year power spurt that will in turn hamper the rest of his career. If he continues to struggle while refusing to change his power happy ways, it’s time to let him walk. In a perfect world AHill would stay within the zone, use the whole field and hit his share of doubles and go back to around 20 HR. With Bautista’s running ability, those pitch around walks in a Bautista/Lind/Hill lineup could translate into some real run scoring opportunities for the Toronto Blue Jays. I thought I was the only one to notice this! It’s good to know it’s out there. But yeah, I prefer the pre power Hill as well. Homeruns just don’t seem to be his natural thing.